Can Canelo Alvarez use his anger to good effect in Golovkin return? They say an angry fighter is far less effective than a cool, clam and patient fighter. Try too hard to “rip his head off,” and the angry fighter can quickly use up energy and fade. Right now, Canelo Alvarez is very much coming across as an angry fighter; his return meeting with middleweight rival Gennady Golovkin carrying with it plenty of very real bad blood. Speaking with ESPN, the Mexican star said he is sure the rematch, set for September 15, will be a much better fight than the first fight from a year ago, and the main reason is the anger he is carrying. Alvarez also said he is working on a strategy different from the one he employed in fight-one – one that will see his stamina hold up in a hard, fast-paced fight. Of course, fighters say plenty of things in the lead-up to a fight, and often we do not see their words matched with actions come bell-one. But if Canelo is as angry as he seems to be, might it work against him? GGG, as silent and deadly a fighter as can be imagined, may be able to set traps for his young foe should Canelo come out blazing, the red mist in full effect. In all likelihood, it won’t happen. 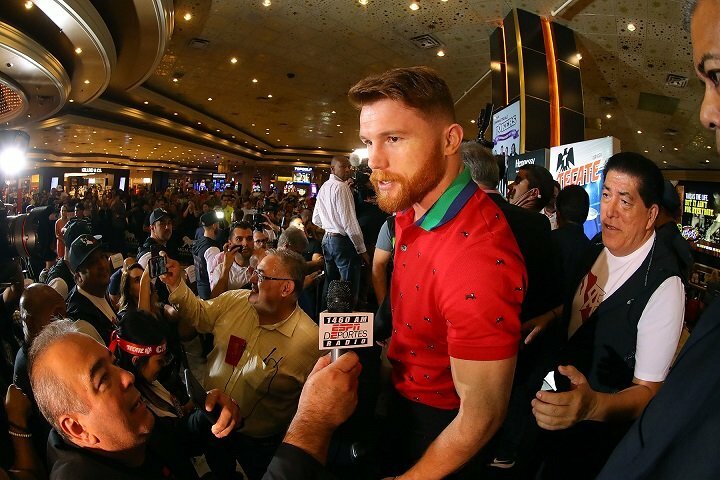 Canelo is no fool and though he may be genuinely angry, he will not fight foolish. If he did, he would make the job that much easier for GGG. Will there be a KO this time round? Don’t bet on it – despite what Oscar De La Hoya says. Will the fight be more exciting than the first one? Very possibly. There is so much at stake this time: from a fighter’s very reputation, to the possibility of a history-making win, to the settling of the fiercest rivalry in the sport right now. If Canelo does get the win, will his former status be returned? If Canelo loses, will he ever be the same again? No, the stakes could not be higher going into this one. You are here: Home / Boxing News / Can Canelo Alvarez use his anger to good effect in Golovkin return?